Peeks Around 24 is the kitchen window. 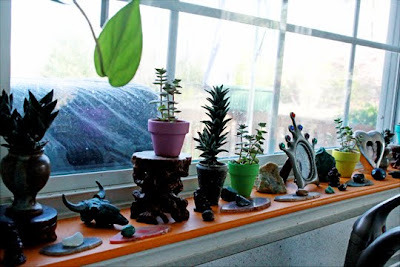 Agate slices with other stones and rocks, mini plants and pots of different colors and a couple of photos of me and Shawn. 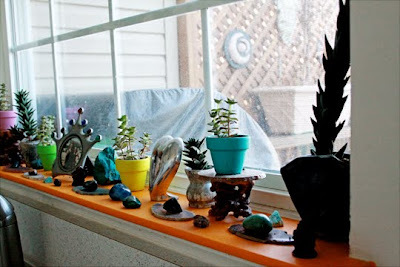 Plus the orange window sill. All the colors match our kitchen in that we have rugs, towels, shelves, magnets, etc... in all different colors, bright and cheery.